A Canadian province is voting on whether to drop its "first past the post" system in favour of proportional representation. Alex Cosh explains how Britain could learn from it. British Columbia, Canada’s westernmost province, is just a few days away from deciding whether it should stick with its outdated first-past-the-post voting system — a system currently used by a diminishing number of democratic countries — or adopt some form of proportional representation. The referendum, which ends on December 7, is legally binding, and will determine how voters in B.C. elect their provincial government in the future. To put that into perspective, the B.C. provincial government oversees a geographic area nearly four times the size of the UK with a population of five million or so people—the stakes are quite high. Although the vote hasn’t received much coverage internationally, the latest campaign financial disclosure reports show that the province’s rich and powerful overwhelmingly favour keeping the status quo, while people from a broader range of social and economic backgrounds favour reform. The official ‘No’ campaign has been overwhelmingly financed by prominent billionaires, lobbyists and rightwing power-brokers. Although the campaign claims to be running a non-partisan operation (one of their directors is a longstanding supporter of the province’s main centre-left party), almost every name on the donor list is recognisable as a wealthy business tycoon or insider of B.C. Liberal Party (a self-styled fiscally conservative ‘free enterprise coalition,’ not to be confused with Justin Trudeau’s Liberal Party of Canada). These include Ross Beaty (a wealthy mining tycoon), Hassan Khosrowshahi (a Vancouver-based billionaire and director of the right-wing Fraser Institute), Jess Ketchum (a prominent lobbyist), and Ryan Beedie (a luxury property developer) — to name just a handful. The majority of anti-reform donors are also concentrated to B.C.’s wealthiest urban areas, with several top-tier donors hailing from upper-crust neighbourhoods in Vancouver and Victoria. Additionally, around 60% of those who gave money to the anti-reform campaign also made significant donations to the B.C. Liberals in the last decade, highlighting the partisan interests behind keeping the province’s current voting system (the B.C. Liberals rarely win a majority of the popular vote in provincial elections, but nonetheless ruled the province continuously for 16 years between 2001 and 2017). On top of that, PressProgress recently revealed that two anti-reform campaign donors – Robert Disbrow and Walter Segsworth – were named in the Panama and Paradise Papers in connection to assets held in offshore tax-havens. The pair are both also B.C. Liberal donors. Corporate lobby groups have also been rallying against election reform. The Independent Businesses and Contractors Association of B.C., a big business advocacy group, even tried to mount a legal challenge against the referendum itself, claiming the process threatened the group’s interests (a supreme court judge said this claim amounted to “conjecture, rhetoric and exaggeration”). As well, the director of the Urban Development Institute, B.C.’s largest real estate lobby group which advocates on behalf of major developers and has sought to curb renters’ rights, recently wrote to the group’s members calling for them to vote against reform. Under the province’s present first-past-the-post system, B.C.’s mammoth real estate lobby enjoyed considerable influence over the last B.C. Liberal administration. After all, lobbying one political party with a legislative majority is a heck of a lot easier than brokering deals with two or more coalition partners. Contrast this cabal of lobbyists and party insiders backing the anti-reform campaign to the donors listed on the pro-reform side, who come from a range of different social and economic backgrounds. They include activists, environmentalists and ordinary citizens from all walks of life. Tellingly, the average donation for the ‘No’ campaign has so far raised $94,500 from 97 donations, an average donation of $974, while the ‘Yes’ side has so far received a total of $55,840 from 168 donations, an average of $332 per donation. Although this state of play is somewhat typical for B.C. (the province has been mired in decades of corruption and cash-for-access scandals, and only banned corporate donations to political parties last year) the basic divide between those supporting reform and those opposing it remains illustrative for the larger electoral reform debate: first-past-the-post benefits the rich, powerful and well-connected, while proportional representation provides an opportunity for everyone to participate in the democratic process and enjoy fairer electoral outcomes. A study by political scientist Arend Lijphart also suggests that countries using proportional proportional representation tend to have lower levels of income inequality, and see more women and ethnic minorities elected into office than countries using majoritarian systems. 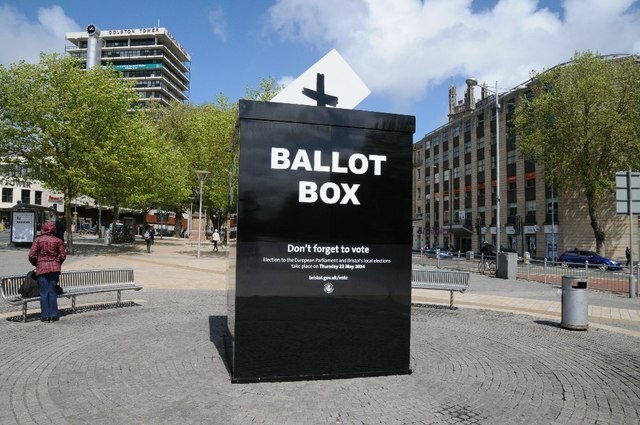 In light of the situation in British Columbia, the left in the UK would do well to remember that election reform is fundamentally about fairness. If Labour is to live up to its ‘for the many, not the few’ slogan, then it should advocate for an electoral system worthy of that vision.